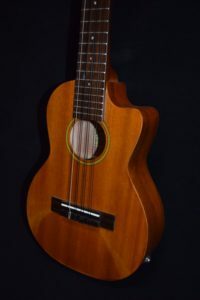 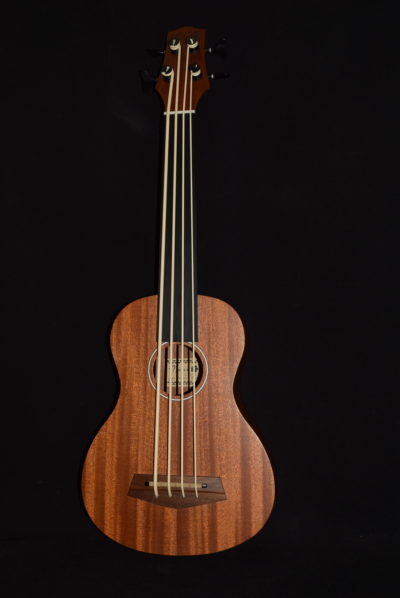 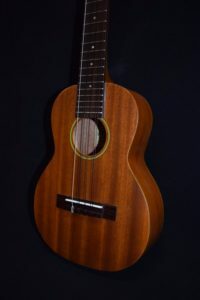 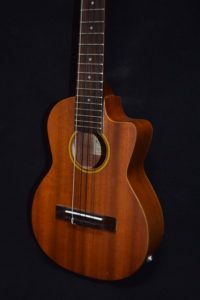 Recently, a number of companies (starting with Road Toad Music on the Big Island) have introduced bass ukuleles built on the same principle. 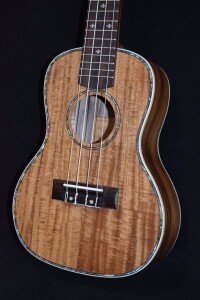 Road Toad came out with their “Pahoehoe” black polyurethane strings, which were a vast improvement over silicone, and now Aquila Strings has introduced the ivory-colored “Thundergut” strings, which are a big improvement over the black ones, providing improved “glide”, better intonation and longer life. We made some entirely handmade Mele bass ukuleles a few years ago and sold them for $1200 and up, but we have been wanting to provide an affordable model for the working musician, and here it is, at $499! 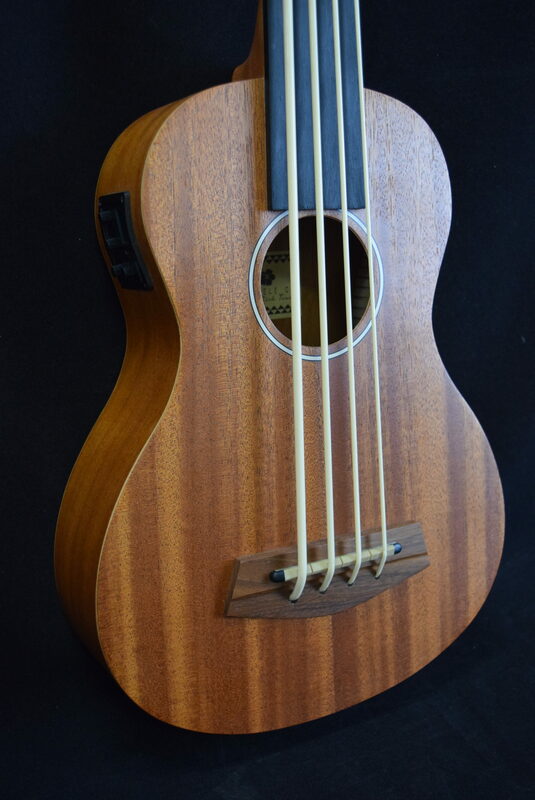 Unlike all the other bass ukuleles in its price range. 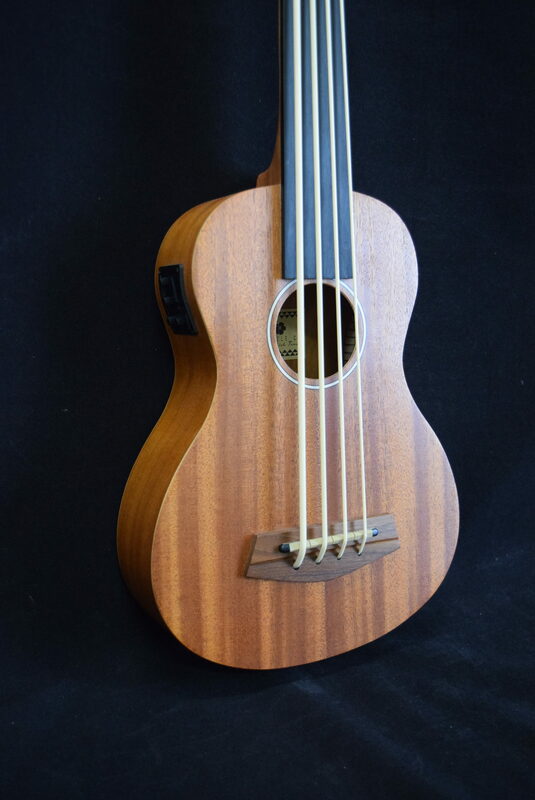 We included onboard electronics because the sound, when played through a good acoustic bass amplifier or PA system is massive, rivaling that of an upright bass or fretless bass guitar Also built-in is a chromatic tuner, which allows silent tuning between songs. 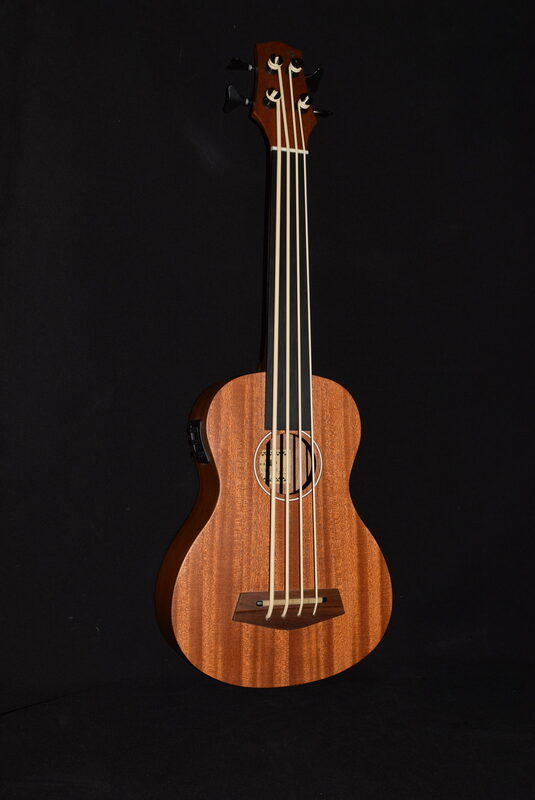 Delivers THUNDEROUS fundamental tones, good sustain, and a very pleasant overall timbre with accurate intonation all the way up the neck! 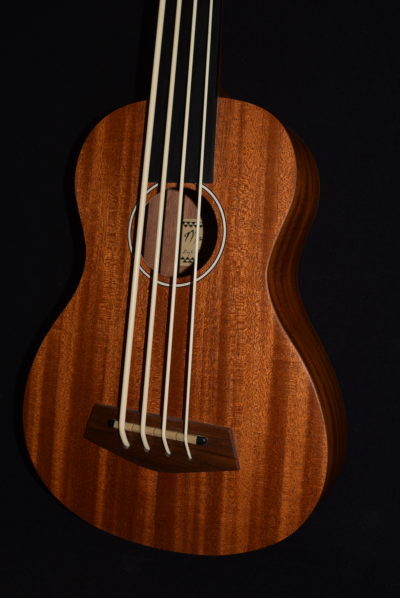 16 jumbo nickel frets, Hipshot-style tuners.